Listed below is an update of some families we have been helping since our last report in October. Travis was diagnosed with an inoperable brain tumor in August 2010 when he was 8 years old. The Foundation was contacted in October 2016 about some assistance for Travis, his single mom and siblings. Travis has undergone multiple surgeries and rounds of chemotherapy. While the tumor is currently stable, the medical and emotional side effects of treatment persist, preventing his mother from holding a job. The Foundation has helped the family several times over the past year, with utilities and rental payments. Sometimes, due to the specific nature of a child’s illness, the Foundation will help to support a family, periodically, over quite a few years. Rey’s family is one such case. He was first referred to us in March 2014 with diagnosis of choroid plexus carcinoma. His second relapse in May 2017 prompted a request for more assistance while Rey traveled to Children’s National Hospital in Washington, DC to participate in a clinical trial. Mom’s ability to work during all these years of treatment has been greatly compromised. The Foundation has helped with utility, auto and rental payments. Six year old Gunnar lives with his mother, sister, maternal grandmother and his mother’s boyfriend in Chambersburg. The Foundation was contacted about the family in September 2017 after Gunnar began a new and more intensive chemotherapy regime for the brain tumor that was diagnosed the previous summer. Although the family has a strong support system and the adults involved have been able to continue working, wages have been lost due to the weekly trips to Hershey for treatment. The Foundation was able to purchase a reliable used vehicle for the family when mechanical problems made their own car undependable. In November, the Foundation was contacted about a family that has become overwhelmed with the cost and scope of the treatment of 13 year old Lin. She was diagnosed in January 2016 with stage 3 adenocarcinoma of the cervix, a very rare childhood tumor. Since the diagnosis, she has undergone radiation, chemotherapy and several surgeries resulting in a total pelvic exoneration in September of this year. Lin lives with her maternal grandmother, aunt, 2 younger brothers and 3 cousins. Supportive services help with her care but it is intensive and overwhelming for Lin and her family. The Foundation paid a substantial past due utility bill to get the family up to date and make sure power was not shut off. Xavier is a 22 month old who was recently diagnosed with neurofibromatosis at the Penn State Children’s Hospital. The tumor was found around his trachea, causing significant respiratory issues. He was on a breathing machine for about 10 days. He is now breathing on his own but has a tracheostomy to help him breathe. When he is in better condition, he will need surgery to remove the tumor. Xavier lives with his parents and four older siblings, one of whom has cystic fibrosis and also requires close medical management. There was only one full time wage earner in the family before Xavier’s diagnosis, now; both parents have had to stop working to care for the children. The family’s only vehicle broke down when Xavier was diagnosed, so the Foundation has partnered with the Four Diamonds Foundation to purchase a more reliable vehicle for the family so they can secure treatment for their child. At the close of 2017, we’d like to take this opportunity to thank you, once again, for your continued generosity. Your support of all our fundraising events throughout the year, along with your individual contributions, make it possible to continue our mission. These updates give you only a glimpse of the ways your dollars help so many families throughout the year. Helping to alleviate some financial worries gives these families a bit of respite from the often overwhelming stress of caring for their children. On behalf of the families the Foundation has been able to help; we offer the most profound thanks! 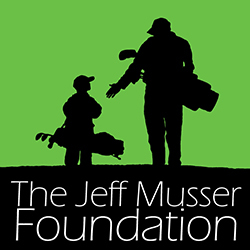 The Board and Volunteers of the Jeff Musser Foundation wish you a blessed holiday season and a healthy and prosperous 2018!